Terrorism is a complex phenomenon. Consequently, defense against such a phenomenon cannot be effective when limited to only one professional approach and one aspect of consideration since too many crucial features thus remain unconsidered. Therefore, if we are compelled to defend ourselves against means of mass destruction, we must rely on an intertwined synergy of knowledge from natural sciences, social sciences, and engineering. That requires creative interdisciplinary cooperation, thus experts who are capable and willing to listen to and hear people from other professions who they disagree with, because they are aware that exactly these people are the ones completing their knowledge and skills up. They possess and apply the ethics of interdependence of mutually different ones as components of the same whole, e.g. members of the same team. Such cooperation can be achieved by applying Mulej’s (1979, 2000; Mulej et al., 2013) Dialectical Systems Theory – DST as the one among many systems theories, which is not confined to a precise description of complex phenomena labeled Systems. DST rather develops further the main notion of Bertalanffy, the father of systems theory, who created his General Systems Theory as the worldview of holism/wholeness and its corresponding methodology opposing contemporary unduly narrow over-specialization. Based on DST and a synergy of various systems theories and cybernetics, we elaborated a new category called ‘Cybernetics of Security and Defense Systems’. Following a precisely defined dialectical system of considerations, and later through accurately selected/announced diagnostic steps, we recognized the Resolution on National Security Strategy of the Republic of as an umbrella document, i.e. basic premise and its consequent manifestation in reality: the National Security System has been carefully analyzed and diagnosed following a precisely defined dialectical system of aspects/viewpoints and accurately selected/announced diagnostic steps (Ivanuša, 2013). Based on the results of the mentioned scientific diagnostic procedure, we recognized the National Security System as pathological. The present scientific monograph is abolishing and establishing, simultaneously: redundancy is replaced with the law of succession and interdependence – we established a novelty to innovate the routine of the security and defense systems. The possibility of an opposite effect, i.e. 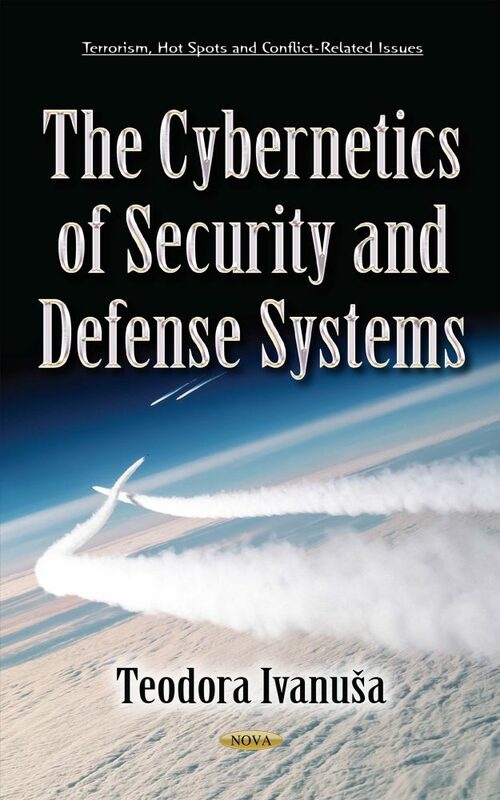 a negative effect, in searching for synergies has been avoided through the concept of requisite holism of behavior (Mulej & Kajzer, 1998), providing a realistic pathway to attain the goal: Novel Cybernetics of Security and Defense Systems. Chapter 5 Prognosis - Attention! The book is written for experts, academics, practitioners and students from the field security, defense and systems theory, as well as for defense, military, police and other security organizations and organizations dealing with national and/or international security/defense.